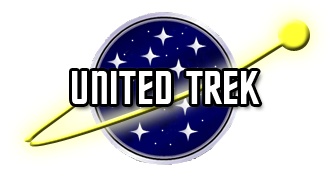 March 2375 – As the Dominion War sees some of its darkest days for the Federation Alliance, the Border Service Cutter U.S.S. Silverfin must track down a possible Maquis distress call deep in the Badlands. Also available at Ad Astra. Six months have passed since Captain Ja-Inrosh was killed in action. Now Susanna Leijten must put everything on the line, in order to save a stricken hospital ship from a Cardassian battlecruiser. January 2378 – Whilst on standard patrol along the Talarian Border, the Silverfin discovers a ship adrift and unresponsive. The ghost ship is none other than the U.S.S. Cairo, which was reported MIA during the Dominion War near the Neutral Zone. As a rescue and recovery mission is launched, what they find only poses new questions. As they search one of the crew is driven mad, but does he hold the clue to what happened on board? On an operation to crack down on smugglers in the region, the Silverfin tracks an erratic transport ship. A cunning tactic leaves the cutter disabled and forced to send a Star Stallion into a debris-filled system to hunt them down. But the small crew of the transport aren’t acting willingly, when one of their own is at the mercy of the barbaric Chanok. The crew of the Silverfin are scattered across the region, as each of them play their part in hunting down how a smuggler ship managed to get their hands on Starfleet weaponry. Lieutenant Llewellyn-Smyth finds herself impersonating an undercover Intelligence operative, killed at a crucial point in her mission; whilst Lieutenant Innis finds himself on a patrol scout with a mystery of its own. They find themselves facing an organised crime cartel as well as a reformed terrorist group, now more dangerous than ever. On Betazed, Doctor Tunde Mbeki works with the top specialists available from across the Federation in order to find out what happened to his shipmate, Kolanis Daezan. Getting nowhere fast, he has to take some drastic steps in order to get Daezan the help he needs. Lieutenant th’Shaan, Master Chief Syva and Quartermaster Mitchell are returning to Star Station Freedom with new quantum torpedo launchers for the Silverfin, when they pick up a distress call from the civilian research ship Blackbird. As they try to help with the surveyor’s technical difficulties, the team can’t shake the feeling that something is very wrong onboard. In February 2377, after twenty years of uneasy peace following the Border Wars, the Talarian Republic launched a new offensive campaign against the Federation. Utilising superior weaponry, they caught the Border Service and Starfleet off guard. Over the eleven day conflict, as Starfleet mustered its forces, the Talarians gained ground before being beaten back to their previous territory, in an incident that would become known as the Talarian Incursion.